The ever-tightening labor market is challenging us as change leaders to find and leverage common denominators to create meaningful connections between employees across diverse, inter-disciplinary and multi-generational workplaces. During this interactive session we’ll explore how your employee value proposition (EVP) drives your ability to attract, develop and retain talent. We will discuss what culture champions like Netflix (and SSM Health!) are doing to revolutionize the workplace and build engagement, and share strategies for recognizing organizational readiness to change as part of your culture-shaping efforts. Learn from your peers what has worked or what they are trying! Join us for a lively conversation about creating, shaping and sharing the vision for a truly engaged workplace! Becki Feldmann is the System Leader of Employee and Candidate Experience at SSM Health. She has been with SSM Health for 15 years and started as a psych tech in one of the hospitals. After being drawn into retention and development initiatives she moved into the organizational development space which led to many opportunities in HR and then IT. In 2014, Becki landed in Talent Management where she is now focused on optimizing technology and connecting people to improve the candidate and employee experience. Becki brings a unique blend of HR, OD and IT to meet the ever-changing needs of the business to achieve exceptional results. Becki is recognized as a thought leader in area of candidate and employee experience. 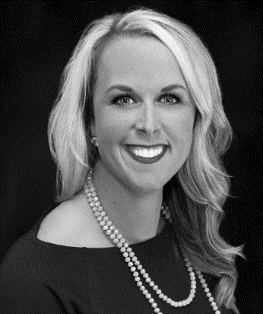 Becki’s passion for developing herself and others is evident through active service with the Missouri State Council for SHRM Board as the Director of Social Media, SHRM of Greater St. Louis as VP of Communications and also Co-Programs Chair for Lewis and Clark SHRM. Becki also recently launched her own company b-e-connected, LLC focused on helping companies build brand awareness and to better connect with their customers/candidates!